With the addition of the new IKEA followed closely by a huge indoor/outdoor water park that will be open daily year-round, Grand Prairie is grander than ever. The new IKEA, with an easy-access location just off Highway 161 and George W. Bush Freeway, is expected to draw large crowds when it opens Wed., Dec. 13. With the promise of entertainment, food, fun, and numerous giveaways, IKEA should make a big splash with holiday shoppers. For families wanting an even bigger splash, Grand Prairie’s new Epic water park is scheduled to open later in December with a date still to be announced. It will also be located just off Highway 161 at the Arkansas Road intersection. Thanks to a retractable roof, the water park can stay open year round. For IKEA Grand Prairie’s opening Dec. 13, shoppers are able to start lining up for entry to the store two days early: Monday, Dec. 11 at 9 a.m. The store will officially open for business at 9 a.m. Dec. 13, but entertainment will start at 6 a.m. with an opening ceremony at 8:15 a.m.
For those shoppers new to the IKEA experience, there is more to do in the store than just shop. There is a restaurant open from 9:30 a.m. to 9 p.m. daily that caters to families with breakfast, lunch, dinner and snacks. One of the most popular items on the menu is their Swedish style meatballs. 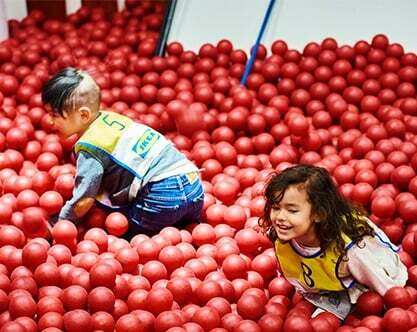 IKEA also features play areas that offer a fun experience for children and a short respite for parents trying to shop. The number 47 is the lucky number for IKEA’s grand opening, as the first 47 adults in line will receive an EKTORP sofa. The next 100 adults will receive a POANG armchair, while the first 100 children (17 and younger) receive a free FAMNIG heart-shaped soft toy. The first 2,500 adults (over 18) receive a random prize envelope. These will contain IKEA gift cards valued from $10-$250, or a buy one, get one free voucher. The first 100 adults who are 18 or older with a birthday Dec. 13 receive a $47 IKEA gift card. Can’t make it to the grand opening of the new Grand Prairie IKEA? No problem, the giveaways continue through the week. For Dec. 14, the first 47 adults in line receive a HAUGESUND mattress. The next 100 adults receive a free ALINA sleep set including bedspread and cushion covers. The first 100 children, 17 and younger, receive a free GOSIG golden dog soft toy. On Dec. 15, the first 47 adults in line receive a free 5-piece IKEA 365+ cookware set. 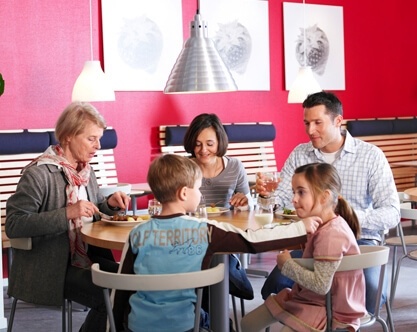 The next 100 adults get a gift voucher for 12 monthly meatball meals for two at the IKEA Grand Prairie restaurant through Dec. 31, 2018. The first 100 children receive a voucher for one soft-serve frozen yogurt that day only. Visitors to the Grand Prairie IKEA will also have a chance to win one of 20 $250 IKEA gift cards by signing up through the IKEA Family loyalty program (IKEA-USA.com/GrandPrairie) through Dec. 17. Since its 1943 founding in Sweden, IKEA has offered home furnishings of good design and function at low prices so the majority of people can afford them. IKEA has been included in rankings of “Best Companies to Work For” and strives to be an employer of choice. IKEA incorporates sustainability into day-to-day business and supports initiatives that benefit children and the environment. For more information see IKEA-USA.com, @IKEAUSA, @IKEAUSANews, or IKEAUSA on Facebook, YouTube, Instagram and Pinterest.